Voices of Freedom is an 8-part, a cappella, vocal ensemble composed of men and women from the greater Grand Rapids,Michigan area. The group was founded in 1997 by Mark Pope, who previously sang with the Voices of Liberty at Walt Disney World in Orlando, Florida. Currently directed by Aileen Matheson, Voices of Freedom focuses on three types of music—patriotic, Americana, and (in season) Christmas. Most of the music performed by the group was arranged by Derric Johnson, who for many years arranged and directed music at Disney World. The group has sung the U.S National Anthem at most major sporting events in West Michigan including: Grand Rapids Griffins Hockey, Berlin Raceway, Grand Rapids Rampage Football, West Michigan Whitecaps Baseball, Fifth Third Riverbank Run, West Michigan Grand Prix, Muskegon Air Show, and Grand Rapids Hoops Basketball. Force reunions. 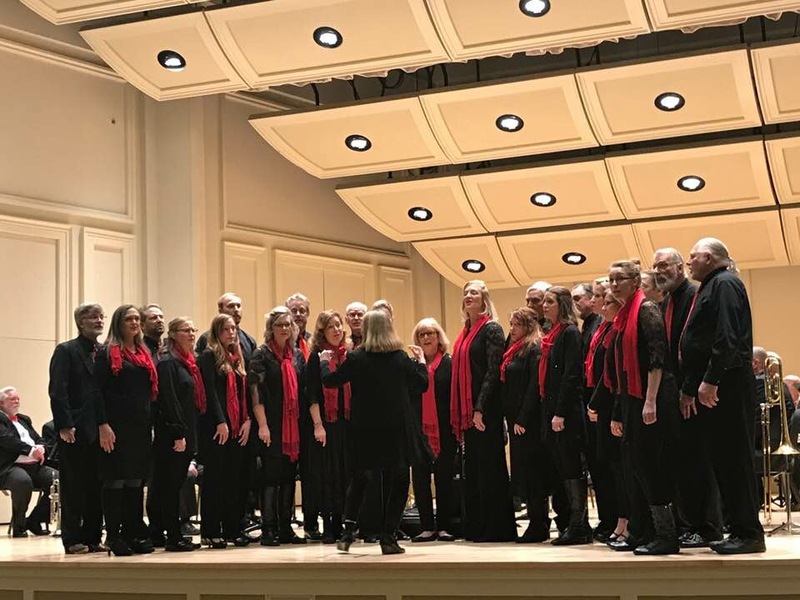 During the Christmas season, the group has performed at the Gerald R. Ford Presidential Museum, the Grand Rapids Art Museum, the Frederick Meijer Gardens and Sculpture Park, and the St. Cecilia Music Center. Voices of Freedom has sung to audiences of several thousand, but also to ones of only a few dozen. The group is now ready to sing for you. Click here to contact us!